Our models are now open daily. We look forward to meeting you! Taylor Morrison proudly introduces Azure - a brand new community consisting of 106 single-family homes in the highly anticipated master plan of Folsom Ranch. Take the first step on your new home journey - tour the models today. Featuring a wide variety of single and two-story floorplans, Azure will offer home shoppers plenty of options to build and customize their dream home in a brand new master plan community. Included and upgraded options such as granite kitchen counters, stainless steel appliances, designer tile and hardwood flooring options, additional bedrooms and living spaces - to name a few. Azure homeowners will have the opportunity to customize their home to fit their unique lifestyle with the help of our onsite community sales managers. Residents of Azure will delight in all that Folsom Ranch has to offer including over 1,000 acres of open space, 138 acres of public parks offering dog parks, sports fields, spacious lawns and picnic areas, restaurants and retail in the bustling Town Center, onsite schools and libraries, an aquatic center, and future transportation within the master plan with an internal bus system. Don't miss out on what's sure to be 'the place to be' in Folsom! Call or chat our Internet Home Consultant today or join our Interest List to stay up to date with all information on Azure. Take Advantage of the Smartest Home Loan on the MarketAre you ready to start living an inspired life in your new home in Folsom Ranch - Azure? Our 2/1 Mortgage Interest Rate Buydown can help you enjoy a lower rate and a lower monthly payment for the first two years of your new home, so you can save now and plan for tomorrow. It's a no-risk, all-reward program—and it's only here for a little while. 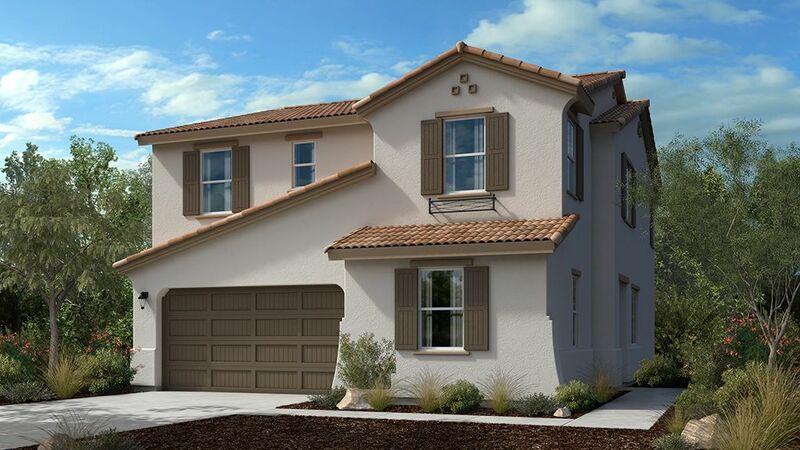 Learn more and calculate your savings in Folsom Ranch - Azure.